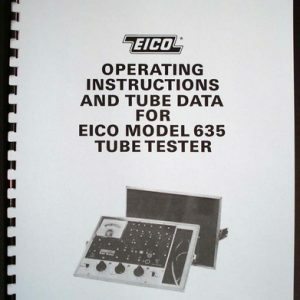 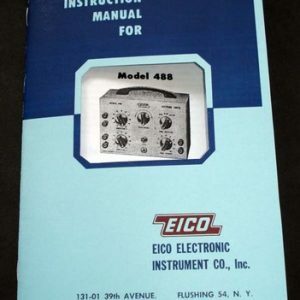 For sale is reprint of Tube Test Data Book for Eico 625 Tube Testers. 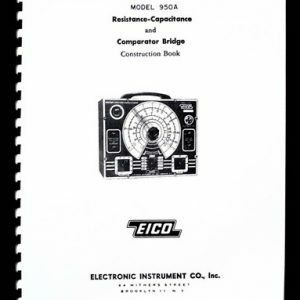 Data book is a replacement of final roll chart with latest updates. 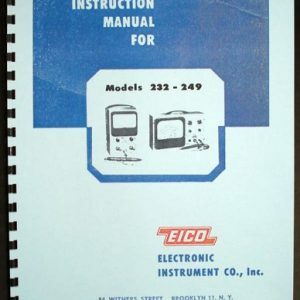 Book is 59 pages long, dated January 1978. 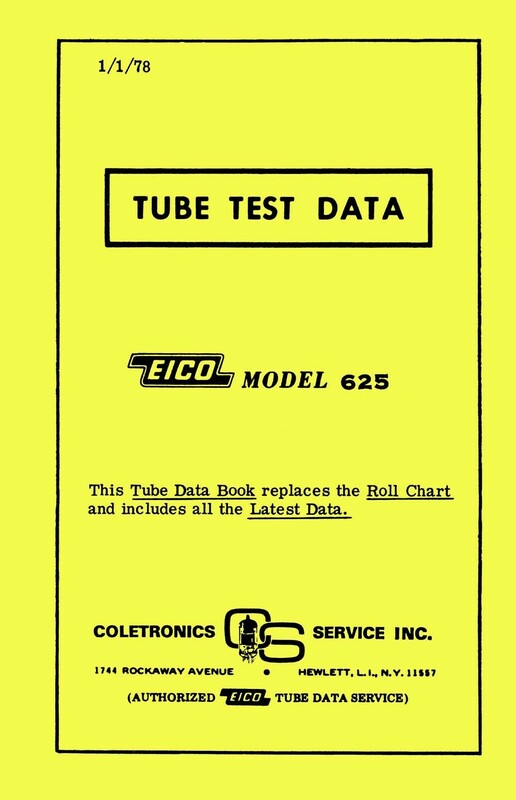 This Tube chart book will save wear on installed roll chart or if yours is out of date.